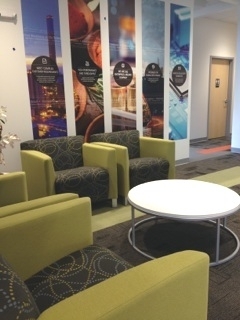 Office Interiors recently completed the new 35,000 square foot Corporate Headquarters for Loftware’s 150 employees. 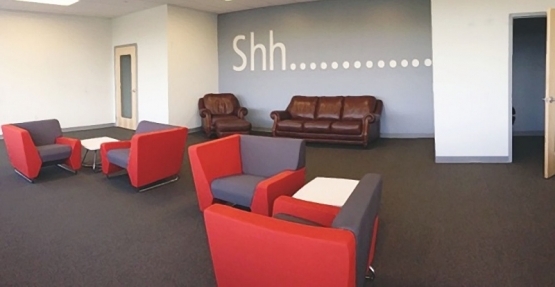 As a software company, Loftware was looking for an energetic, dynamic space to engage a new generation of office culture. 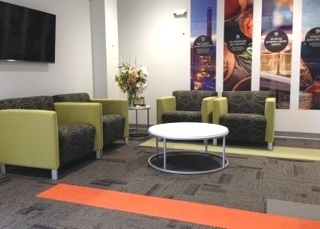 The space fosters employee interaction and collaboration with “collision spots”, a variety of meeting areas, and open spaces. 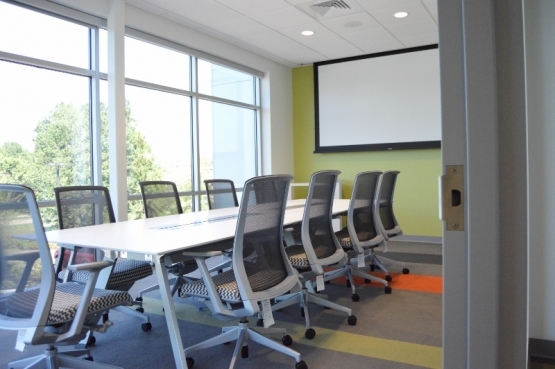 All work areas feature height adjustable surfaces to promote good ergonomics and user control. The color palette of green, orange and white is crisp and contemporary. 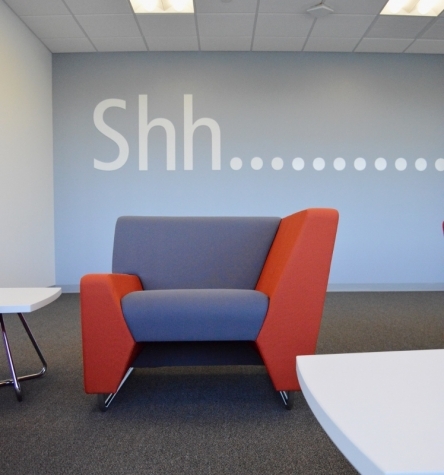 Graphics and art work complete the open space.